You can't spend much time on the internet without filling out a Google Form for something or another. Maybe you've even made some. Today, Google is rolling out a new version of Forms with new features that make everyone's lives easier whether you're making forms or just filling them out. Google Forms isn't an app, but Google has provided a changelog of sorts. Here are the new features you can expect. The response validation will make it clear to users if their input is acceptable. For example, you can require an email or URL to actually be an email or URL. Those filling out forms can also upload files, if you include that option in a form. More complicated forms can also take advantage of “checkbox grid” questions, which makes it easier to convey multiple answers to a question. For anyone who's ever made a form, section reordering will be a huge relief. If you put something in the wrong place, you don't have to delete it and start over. 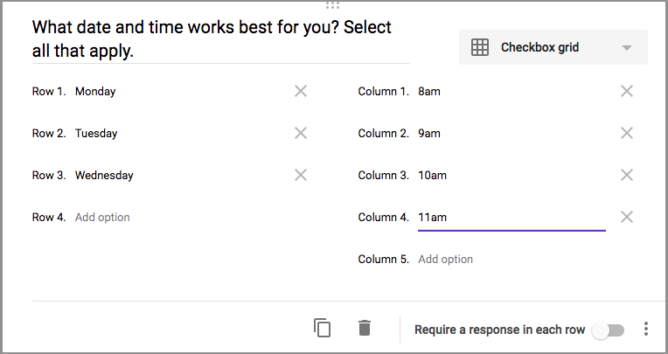 Google says these new features will be available to all users of Google Forms. It should only take a few days for everything to appear on all accounts.